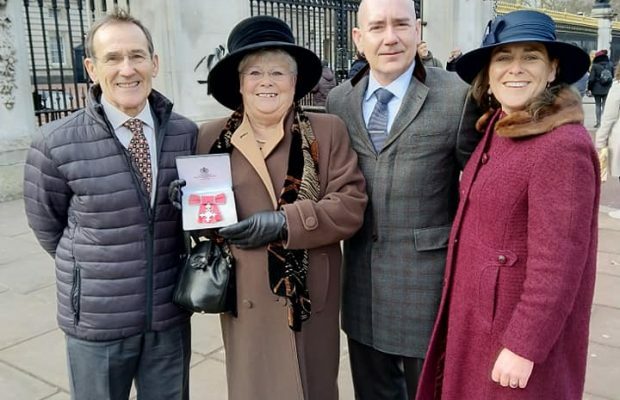 Macclesfield and Cheshire East Councillor Janet Jackson, MBE, received her award from Prince William, Duke of Cambridge, at a ceremony at Buckingham Palace last week. Janet is one of the longest serving members of the council. 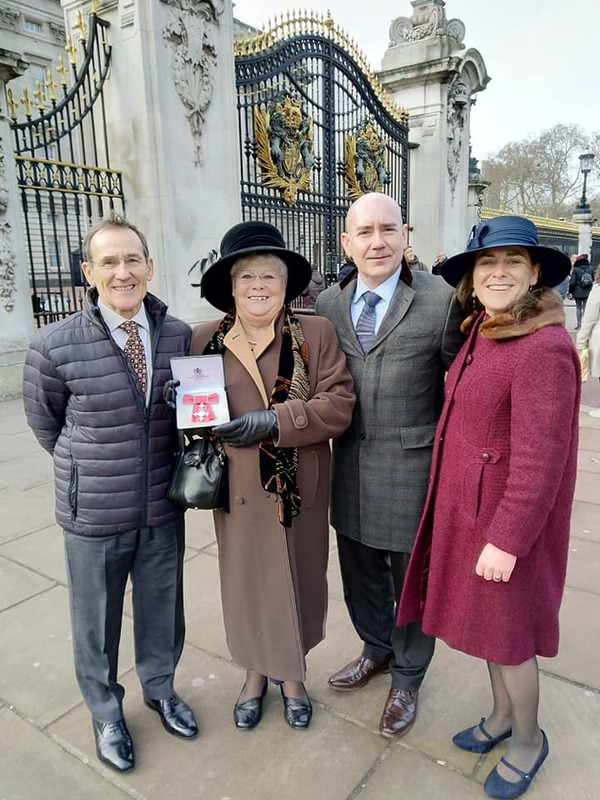 Janet is pictured outside the palace with her husband David, son Carl and daughter Lucy. Janet Jackson, MBE, outside Buckingham Palace with her husband David, son Carl and daughter Lucy.